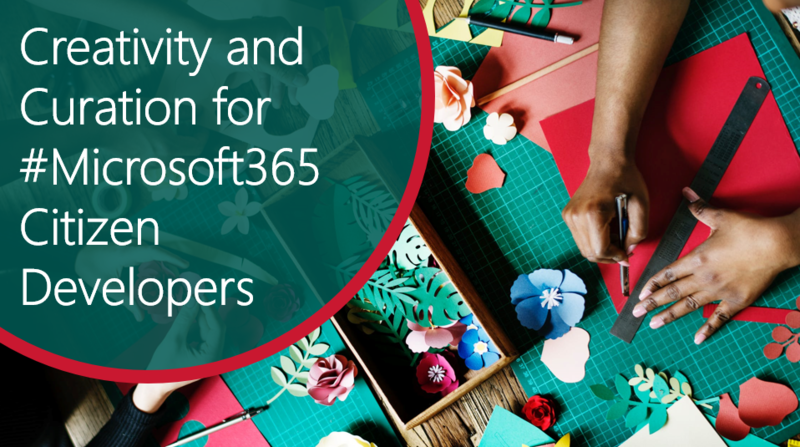 #Microsoft365 #Office365 As part of a mini series for #CitizenDevelopers I’ll be sharing tips and tricks around Business Analysis, Project and Change Management etc. Today we’ll take a look at being more creative and the tools we can use to curate content. Always remember that what you create is a legacy you leave behind – so make it count. Recap: The purpose of this blog is to help you become a better solution builder. As mentioned, you might have the technical skill – but I want you to rock at building great solutions. And to do so, there’s some other skills you require as well. Like Business Analysis, Project Management, Communication, Problem Solving & Creativity. 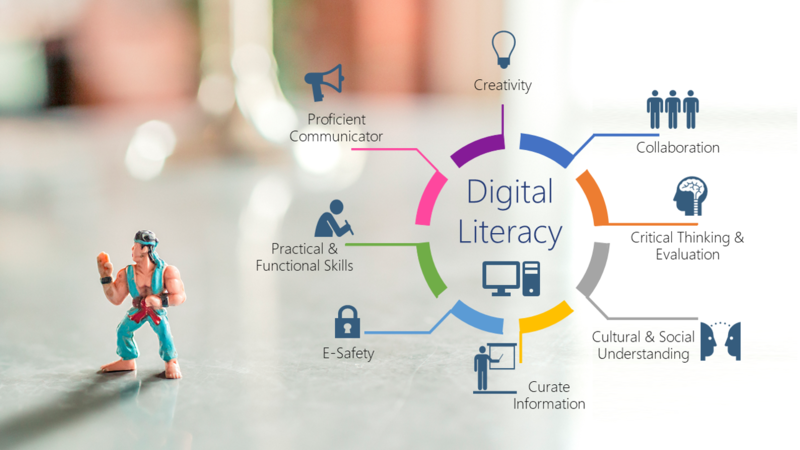 I’ll be basing this on the 8 Digital Literacy Pillars that I support through training, and you’ll see that Business Analysis is supported by all 8 of the pillars, so you need to apply all those skills in your business analysis. I know that most people think they’re NOT creative. I don’t think that’s true. Sometimes we just need to show people the great tools out there, which helps them be creative. Of course Microsoft / Office 365 gives us the most incredible tools to help us achieve this. I’m thinking about PowerPoint, Sway, Stream, Forms, SharePoint News Pages, Hero Web Parts etc. Use PowerPoint to create a banner / poster, Infographic to tell the users more about the solution. Remember to use Design Ideas and for presentations you should add Zoom and Morph. Add a spotlight video on Stream. Create a News Article on SharePoint with information, cool images / videos. Use PowerPoint to record videos and load these on Stream. Quick Reference guides can also be created in PowerPoint and Word – remember to use the Insert Screenshots functionality. Remember I’m lazy – so I’ll rather record a video in PowerPoint and save that to Stream as my “technical documentation / handover”. Also refer to the previous blog where I shared templates for requirements gathering and a solution registers. Get feedback from the users by creating a survey in Microsoft Forms. Use these for Quizzes as well after training was delivered. To help you find your creative superpowers, I’ve compiled a summary of blog posts which will take you from “I’m not creative” to “I’m an artist” in no time. #Microsoft365 Day 163: Have you used Morph in PowerPoint? #Microsoft365 Day 134: PowerPoint Designer ups its game AGAIN! #Microsoft365 Day 247: How to use Branching Logic in #MicrosoftForms? #Microsoft365 Day 246: Have you used the Ranking Column in #MicrosoftForms?